Van Dijk: I’ve wanted to play with Robbo for years! If he’d had his way, Virgil van Dijk wouldn’t have had to wait until 2018 to call Andy Robertson his teammate. 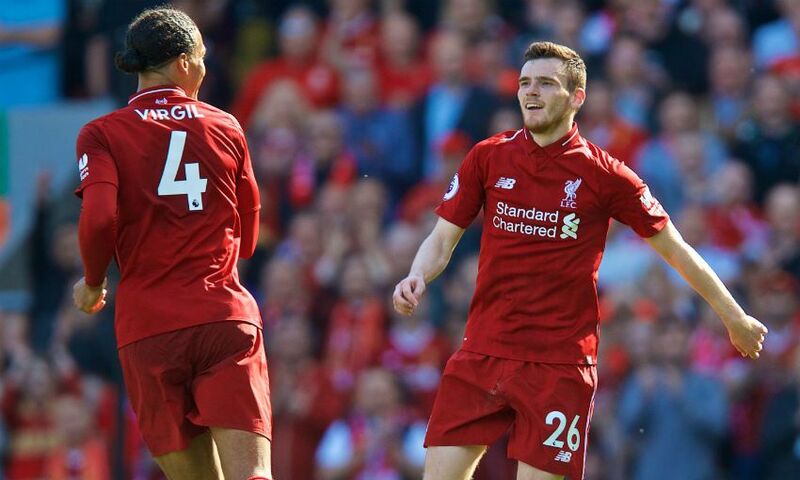 Van Dijk joined Robertson at Liverpool when completing a transfer from Southampton in January this year, just over five months after his fellow defender arrived from Hull City. The duo have since developed a strong understanding on the left-hand side of the Reds’ backline - but the Netherlands captain was already well aware of the Scotland full-back’s quality prior to his move to Anfield. Indeed, Van Dijk first encountered Robertson when his Celtic team took on Dundee United in the Scottish Premiership back in August 2013. And, while the visitors would go on to run out 2-0 winners at Tannadice, the opposition’s No.26 made a lasting impression on the Dutchman. “Robbo is doing fantastic. Obviously when I came to Celtic, in my first season he played at Dundee United and I already thought he’s a very good player and I thought at that time he should join Celtic!” Van Dijk reveals, on LFC’s official 2017-18 end-of-season DVD. “I think I said it to one of the scouting guys as well - sometimes I like to give my opinion on players. He’s just a great player, [he] works hard. If you need ratings of a game, I don’t think he’d ever go lower than a six. Exclusive interviews with Van Dijk, Jürgen Klopp and many more feature on LFC’s official end-of-season DVD. Pre-order your copy now by clicking here.